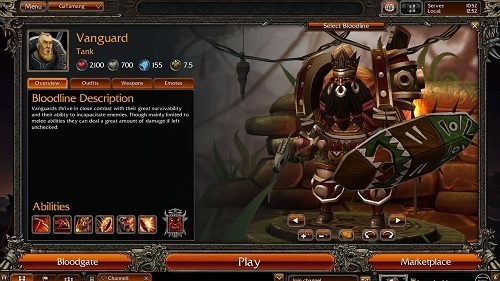 Bloodline Champions is a free to play game that offers fast paced arena combat but is often compared to MOBA games due to its large champion variety and skill based battles. While your entire experience with Bloodline Champions can be a free to play one the game does offers plenty of paid options from champion packs to in game items that come with a number of benefits. The game was developed by Stunlock Studios and is the proud winner of Game of the Year (Swedish Game Awards, 2009), Bloodline Champions went live in the United States in early 2013 and has experienced steady growth since. Gameplay in Bloodline Champions focuses on being a fast paced and friendly experience that relies on a players skill level. The game does not use any random mechanics (critical hits and dodge chance) and also does not use a resource bar (cooldowns are the only limit placed on character abilities). The game even takes this skill requirement one step further by requiring all skills to be aimed at enemies. The game offers three different game modes which you can queue up for with friends easily. Arena is the most common and popular game mode which is a team deathmatch battle within a small arena area. 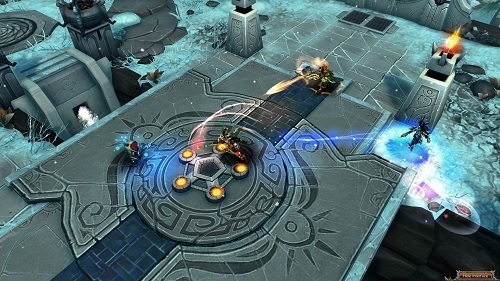 The other two games for players to experience are a capture the flag inspired mode (Capture the Artifact) and a Conquest mode that has players battling for control points. Players won’t have only 4 or 5 skills to manage in this fast paced game with Bloodline Champions offers a total of 7 skills for players to use. Pair this large number of skills with the use of WASD movement which is rarely seen in top-down view games players will need a high level of skill and concentration required to be successful. No random mechanics (critical or dodge). Arena based player vs player combat.